I went to Best Buy today and saw that they were selling the DC Universe Original Movies boxset for $199 (original retail price of $299). I still didn't buy it, but it's worth noting that the boxset isn't supposed to be sold until November 7th. I looked at the limited Edition, it is one of 20,000 copies. Either Best Buy has an exclusive right to sell these early or it's a mistake. See photo. Warner Bros announced that they are releasing the DC Universe Original Movies: 10th Anniversary Collection on a 30 disc Blu-Ray collection on November 7th. 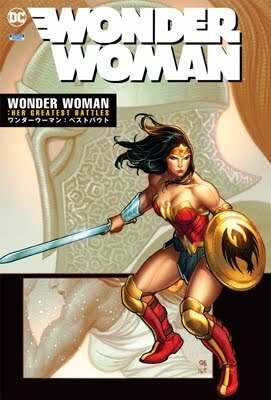 The collection will feature two George Perez-related films, TEEN TITANS: THE JUDAS CONTRACT (18 Apr 2017) and WONDER WOMAN: COMMEMORATIVE EDITION (02 May 2017). Pricing has not been announced, but they shouldn't sell this for more than $100. I actually own 95% of these titles, except for one or two titles and the forthcoming Batman & Harley Quinn.